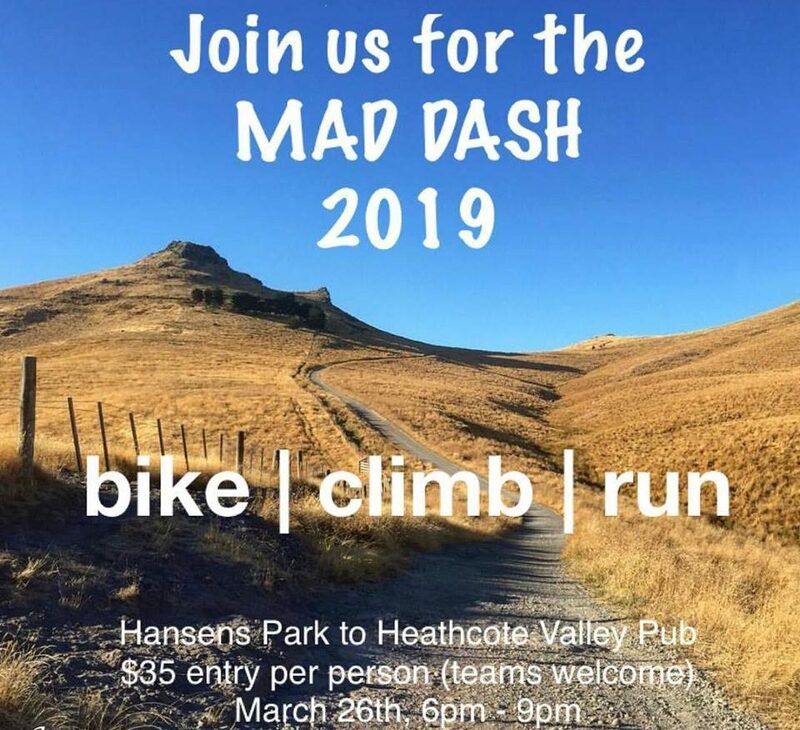 The inaugural Mad Dash has arrived…So dust off your best set of adventure pants, your mountain bike, running shoes and your mates and join us for a social evening of racing. The race is pretty simple. It’s been broken into 3 legs so we have the excitement of checkpoints with the ease of a simplistic course. You can do it solo, in a team or as a relay. The time limit is 3 hours but we anticipate most entrants will complete this in 2.5hrs or faster. Route: Leaving Hansens Park, follow the road around to Rapaki Rd which marks the start of the uphill grunt. Keep on going up until you reach the top and the Checkpoint will be based from the car park. There will be an area set aside for bike parking that will allow your support team to come collect these for you. We do not have the facilities to return bikes to the Inn so please make prior arrangements for collection of you bike. We will have a staff member monitoring the bikes for safe storage until your crew can arrive. Route: Racers will need to make their way to the base of the crag for the rock climb. All equipment will be provided, including instructions, so you don’t need any experience in climbing to complete this stage. To keep things fair for racing, only one person from the team category is required to climb on this stage. From here go to the 2nd checkpoint to depart for the run. Route: Follow crater rim walkway to the top of the bridle path, there’s a final check point here, before you drop down into Heathcote Valley and make your way to the Valley Inn Tavern. Spot prizes: Best dressed climber, fastest mountain biker, coolest shoes. We wanted to add a twist to our race so the last solo, team and relay racers to come in the door before the cutoff time will also receive a winners prize.